Members: Shannon Dunn (Vocals & Guitar), Terry Crumley (Vocals & Percussion), Chip Ables (Vocals & Guitar), Daniel Fowler (Bass), Brandon Fitzsimmons (Drums). Favorite Thing about Chattanooga: "It’s a wonderful place to call home. The whole band was born and raised in North Georgia/Chattanooga." 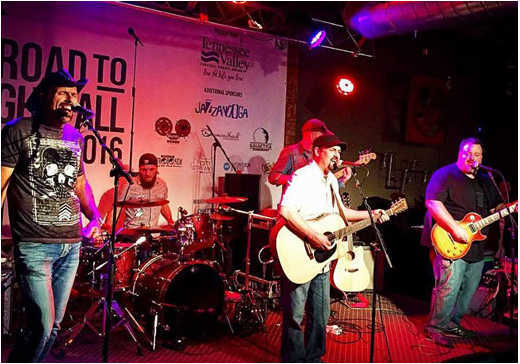 Background: Backwater Still is a genre busting blend of kickin’ country, southern rock, and rhythm & blues...add in some swagger, a bit of attitude, a touch of humor, and a truckload of talent. As their bond of friendship strengthened over the years, through life&apos;s struggles, joys, and every day circumstances, the members of Backwater Still used these experiences to become who they are today. Their songwriting is based on those life lessons, and strikes a chord in all who hear the music of Backwater Still.